With the start of the new school year only DAYS away, it’s time to whip out the calendar and note the term dates – and perhaps more importantly, count down to the next school holidays! Australian school term dates change from state to state, so make sure to double check the starting date for your state. No doubt you’ve still got PLENTY of time to get organised with all the new school year necessities – lunch box. Check. New socks. Check. 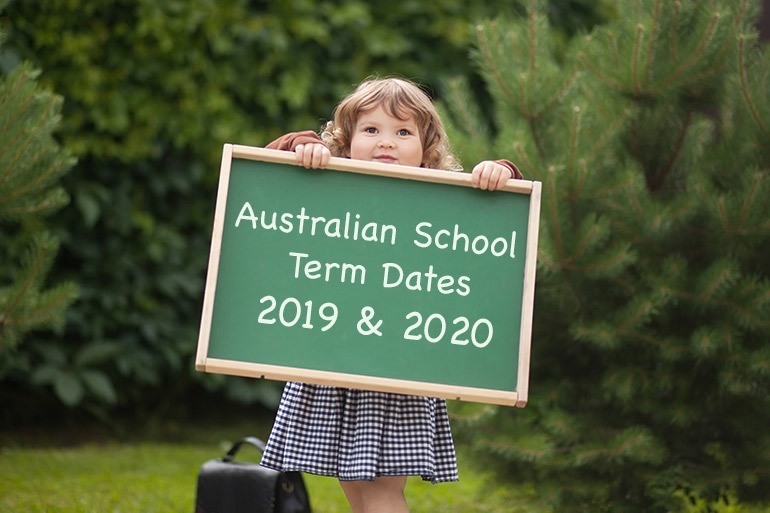 See below for our handy guide to all the Australian school term dates for 2019 and 2020 too. For more information go to the South Australia Department for Education and Child Development. For more information go to Victoria State Government Department of Education and Training. For more information go to NSW Department of Education and Training. For more information go to Queensland Government Department of Education and Training. For more information go to the ACT Government Education Directorate. For more information go to NT Government website. For more information go to Tasmanian Government Department of Education. For more information visit the Government of Western Australia Department of Education. Make sure to browse our Back to School section for all the advice and information you need to get the new school year off to a great start, including these clever school hacks.